We now support chaining effect for parent-child filters. Consider we have 3 filters: Region, Country and City with the relationship: Region –> Country –> City. 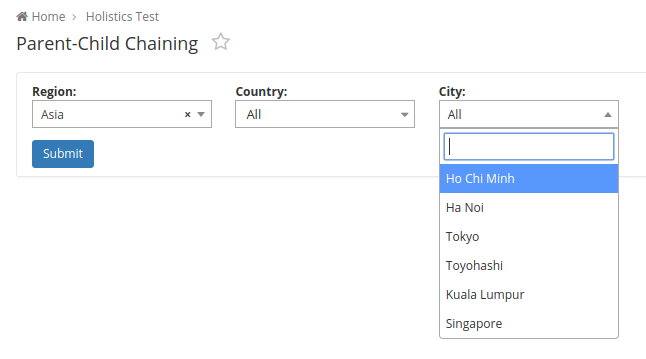 When we set a new value for Region (e.g., Asia), available options for both Country and City filter will be updated based on the new region (can only select countries and cities in Asia).